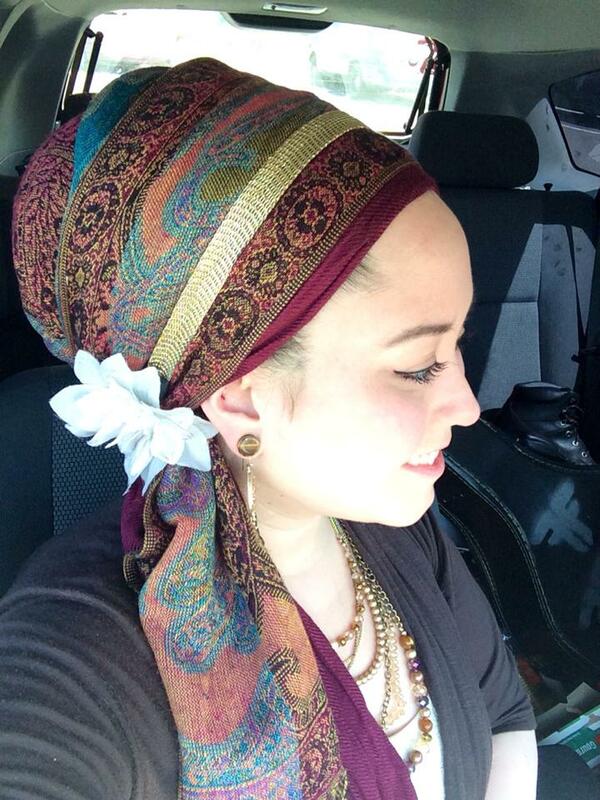 The Wrapunzelution: So Much MORE Than Hair Wrapping! There are no words to describe the gratitude that one feels when seeing a message like this. This is everything that I ever dreamed Wrapunzel would become. May we only continue to all grow bigger and brighter! ← A Fun Music Photoshoot! you are a lovely woman with a holy neshama. thank you for sharing with us and may hashem give you the streghnth to continue on your path. Emily Rose, you are beautiful and infinitely precious. I hope you’ll write that book one day as I’d love to read it. You are not alone. It took great courage to write as you did and I’m truly inspired by you. Wishing you love, light, healing and every blessing. You are a beautiful woman,this is both inside and out. The problem in this world is that if we do not fit the so called standards of beauty, we are made to feel,or make our minds up that we are ugly. I am covering my head(no hair right now)because chemotherapy has taken it all away…I really miss my eyelashes and eyebrows, but they will be back someday. I have always had body image problems, but now that I am old it doesn’t matter to me anymore. You will notice that women’s film roles diminish once they hit 30,for the most part but doesn’t happen with men,so that should give us all a hint to ignore that stuff. The average person can’t afford Botox or plastic surgery, so we will never be that “hot.” But natural beauty is much more beautiful and mostly comes from within. That doesn’t fade away with birthdays,it may actually increase! I am 5’7″ tall and weighed 110 for awhile, and even though I thought I looked good, I was wrong. Emily Rose, I really think you are a very beautiful and brave young woman! P.s. I live near Coos Bay,Oregon . I hope you do write that book, for yourself and for all the people you will help and inspire by so doing. Thank you for sharing. Hey Emily Rose, I,too share your pain with mental health issues and anxiety cripples my self esteem (as I am a larger lady) but, covering my hair and being a bit more modest in how I dress seems to ease the pressure of feeling judged so much. People like you, and the ladies of the Wrapunzel community remind me that I am more than the sum of my fat bits and that we all have an inner beauty that is far more beautiful than we think. Lots of love to you. Emily Rose, I know this post is several months old but I just wanted to say how much I identify with this. I, too, have struggled with eating disorders, borderline personality disorder, and finally being diagnosed with hyperthyroidism this spring! it’s made my relatively full, curly hair thin and brittle. but I’m starting to understand that I’m so much more than my hair. I tear up writing this now, but I’ve recently become very spiritual throughout this journey, and I’ve been so self conscious but when I wrap, I feel like I’m reminded that there’s something bigger than me, closer to Gd, and like I’m gonna come out on the other side happier than I ever thought possible. I was so touched by Andrea’s video about the levels of pleasure she achieves when she covers, and she spoke to my soul! thank you!!! Thank you so much, wrapunzel. I hope you understand how your be touched mine and so many other lives.